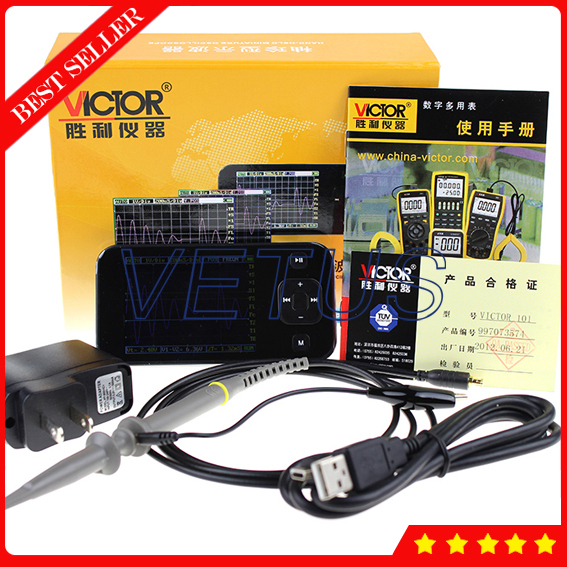 VICTOR101 pocket oscillograph based on compatible 32 platform figure of ARM Cortex-M3 store the oscillograph, dispose the colored display screen of 320*240, is furnished with interface of SD card interface, USB and charge the function. The volume is small and exquisite, easy to operate, easy to use. Can basically meet experiment, maintaining, general electronic engineering demand of electrical home appliances of the school.